We are Specialized in e-commerce design & development. 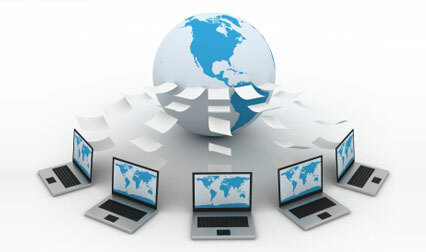 We are committed towards quality software services through out the globe. We design, develop, maintenance websites. We have Qualified and well Experienced staff for software development and consulting. We are a startup IT services company, provides digital technology services, software product development, testing, deploy and technical training services. We design websites and develop e-Commerce portals. We believe that our success is built on the success of our clients, and we do what it takes to give our clients a sustained competitive edge through value and innovation. We specialise in responsive websites, software development, consulting and e-commerce application development for different Desktop, Mobiles and Tablets. We recently introduce cheapest and best mobile web design packages in our services. We specialise in web design, web development and graphic design for different Desktop, Mobiles and Tablets. We recently introduce cheapest and best mobile web design packages in our services. eCART SOFT LABS PVT. LTD. is a startup IT services company, provides digital technology services, software product development, testing, deploy and technical training services. We design websites and develop e-Commerce portals. We believe that our success is built on the success of our clients, and we do what it takes to give our clients a sustained competitive edge through value and innovation. We help our customers accelerate time-to-market, improve the quality of products and reduce costs. Our unique culture promotes excellence and drives innovation through trust, pride and teamwork. Studentscart.com is an e-commerce portal which fulfills all the academic & non-academic needs of students. This is an online store for all kind of books, note books, stationary items, bags, shoes etc. We follow full lifecycle in application development, we responsible for analysis, design, implementation, testing and integration of systems. We work with your IT professionals to jointly analyze, design, implement, test and integrate systems. We offer full-cycle development services for web, mobile and desktop. "To provide affordable software services and consulting for different devices such as mobile, tab and computer is our aim, that fully meet your requirements." " I can confirm, the IT software services really fantastic. Very flexible, very good support. I really like it." "Got Orders from different locations such as Tamilnadu, Andhra pradesh"
"an e-Commerce portal - www.studentscart.com"
eCART SOFT LABS PVT. LTD.
"Our aim is simple - to provide affordable software services for Mobile, tab and Computer by creating websites that fully meet your requirements a professional look that inspire confidence in your customer."